I've had coconut and lime on my mind. Perhaps I'm longing for the light, tropical flavours of summertime. Impatiently, I look for the first signs of life to emerge miraculously from this dry, dead, and frozen Earth. That first tentative green shoot in the Iris bed, peeking shyly from underneath the brittle blanket of last year's display. That first sleepy bud on the Brandywine tree to open its rosy petals skyward and drink in the warm sunshine. Winter here seems never ending. Or maybe I'm in need of a real vacation. I'm pining to return to Barbados, even just for a day. To feel that warm ocean breeze, lightly scented with jasmine and sea salt. To sip cool coconut rum from a street vendor with a violet cart. Or maybe a simple picnic would do. To sit in the shade of a large Cottonwood on the banks of a lake and enjoy a tall glass of fresh squeezed limeade while my children float their pretty paper boats on the calm, cool water. In any case, I'm most certainly ready for summer. Unfortunately, I still have several more weeks until I can even consider breaking out the sandals and the picnic basket. In the meantime I'm enjoying summer vicariously from my dinner table. And coconut and lime have been on our plates more times than I can count in the last few weeks. I started with a warm salad of Quinoa, Mango, and Flaked Coconut dressed with a Honey-lime Vinaigrette. Next I made Coconut scented Green Beans which were so fresh and easy. 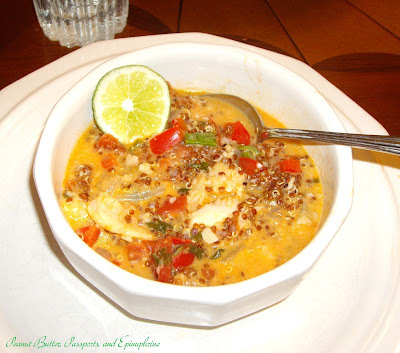 More recently I prepared this Coconut, Lime, and Quinoa Fish Stew. All the refreshing flavors of summer, but warm and hearty enough to eat year round. In case you're wondering, coconut is not actually a tree nut, even though the US Food and Drug Administration recently categorized it as such. It's actually a seed which has been thoughtfully designed to survive floating on the ocean for several months to a year. They are extremely buoyant and the shell is waterproof. The coconut water inside nourishes the tiny germinating seed until the coconut finds land. Coconuts have been found floating in the sea as far north as Norway. Most people who are allergic to tree nuts do perfectly fine with coconut. In India, however, where coconut is a very common ingredient, it is actually one of the top five allergens! But keep in mind, I am not a doctor. If you are allergic to nuts or seeds and have any concerns about eating coconut, please speak to your allergist first. Cut both limes in half. From one half slice four thin slices to set aside for a garnish. Juice the rest of the limes into a large resealable plastic bag. Add the olive oil, garlic, and salt to the bag and mix well. Add the fish. Make sure the fish is well coated in the marinade. 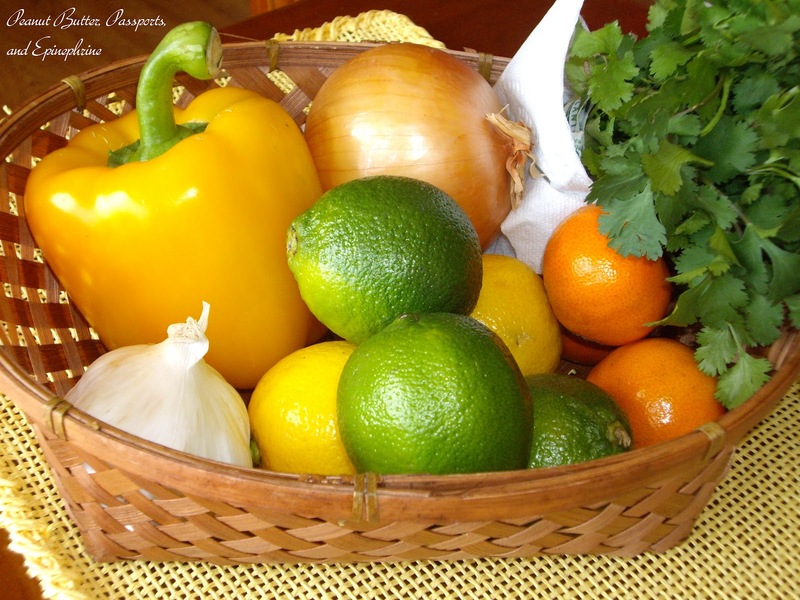 Marinate in the refrigerator for one to two hours. In a large deep skillet heat the coconut oil. Saute the onion and bell pepper for 5 minutes. Add the tomatoes and cook for a few minutes more. 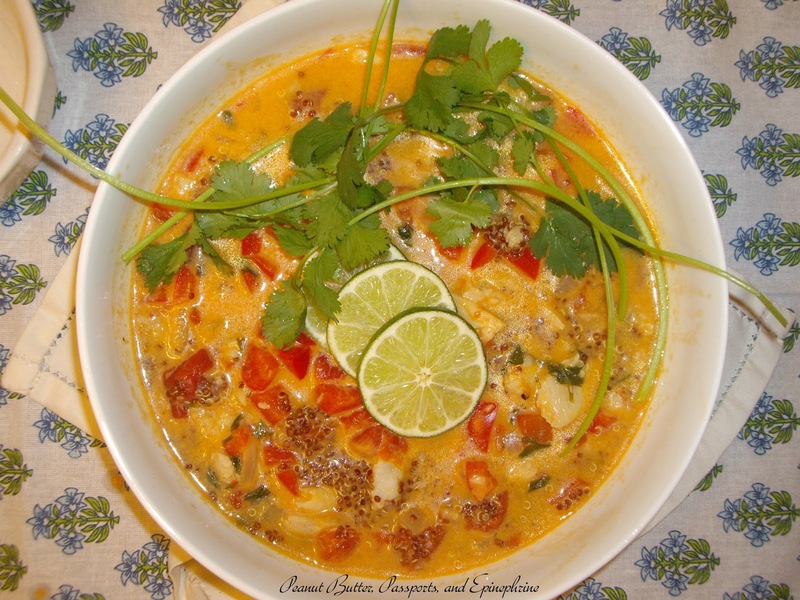 Nestle the fish among the veggies and top with the remaining marinade, coconut milk and cilantro. Simmer gently for 15 to 20 minutes until the fish is done. Meanwhile cook the quinoa in the water, covered, for 15 minutes. Allow it to rest five minutes, then place the quinoa in a large serving bowl and fluff with a fork. When the fish is done, pour it over the quinoa and mix gently. Top with the sliced scallions, and garnish with more cilantro and the sliced lime. Hi Rebecca--This stew sounds and looks amazing! Love that it's dairy free, too. :-) Will share on my gfe Facebook page! Mmmm...this looks really good. And I think my family would eat it (maybe). Thanks for sharing at Allergy-Free Wednesdays! We hope to see you back again next week. This looks delicious! I love the coconut and lime flavors too. Thanks Debbie. I'll share it with Sunday Night Soup Night tomorrow. See you there! Oooh yum yum yum! (still drooling :) Thanks for linking up! Look forward to seeing you again next time. gfe - Thanks for the share! Michelle - I hope your family likes it. It really tastes lighter than it looks. Thanks so much, Debbie! Can't wait to see what your other 2 picks are! I can't wait tot ry this. My husband and sons are always asking for a fish stew, but I don't have a lot of experience making them. Thanks Alea! There's just something about fish stew that my family just loves. I hope your husband and sons love it, too!